In the Hotel lobby you will find an intimate styled reception desk which will wrap you in a homey atmosphere, alongside you can find an exclusively inspirational elevator designed in the spirit of the Ottoman - Mandatory period. 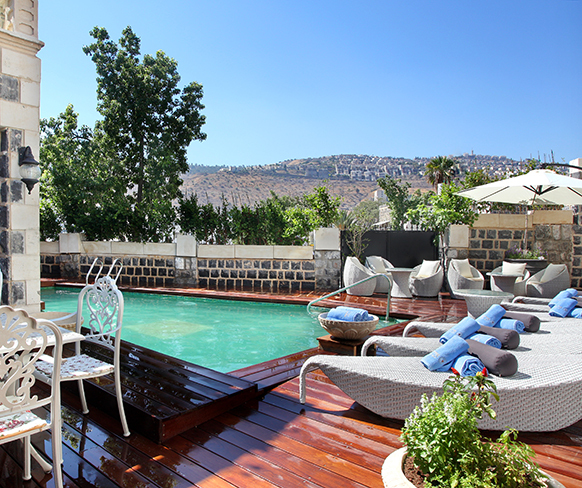 The Hotel's walls are decorated by oil paintings baring views of the Sea of Galilee, the Jezreel Valley and the Galilee. Alongside the paintings on the walls are pictures and photos from the Hotel's past, and historical newspaper clippings gathered from the beginning of the twentieth century. The oil paintings located around the Hotel were created by Zohar Oved the founder of the renewed Hotel and a scion of the Oved family which purchased the Hotel Europa in 1930. The Hotel crew will welcome you dressed in uniforms in accordance to the era- adorned with the acanthus leaves which served as a central element in the art and culture of the ancient Ottoman Empire. 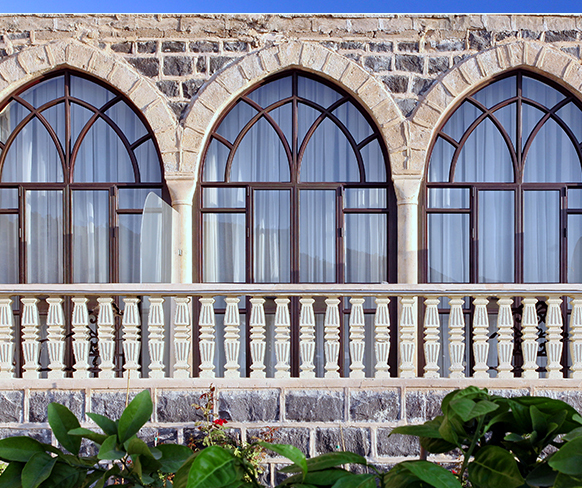 The Hotel rooms in the "Colonnade", Trifora "and "Liwan" wings have a distinct charm unlike any other Hotel. 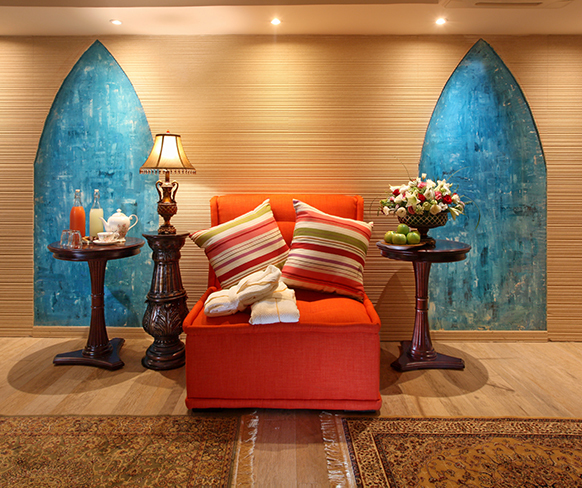 During the Hotel's renovation, special attention was given to historical preservation, and it is this core value that fashioned unique rooms which carry no resemblance to classic Hotel rooms. 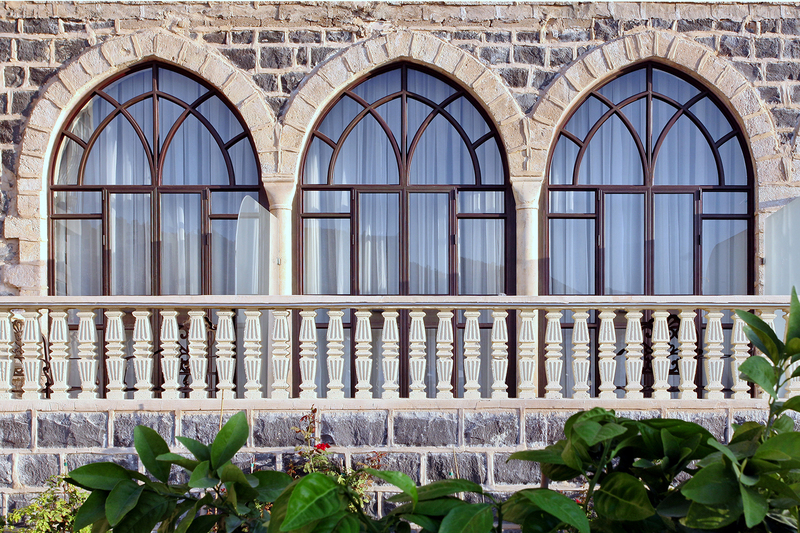 Our guests can lodge in special garden suites, baring original basalt rock walls from 1917, or stay in exclusive rooms that served the British mandatory "Green Howard" brigade and "Hagana" fighters during the war of independence. Guests will note the firing and observation posts in these rooms which have been fully preserved. All rooms are equipped with all the modern amenities including: an LCD television, Wi-Fi, a mini fridge and much more. In each room you will find: an esprso Coffeemaker, pampering artisan soaps and original playing cards crafted especially for your enjoyment. 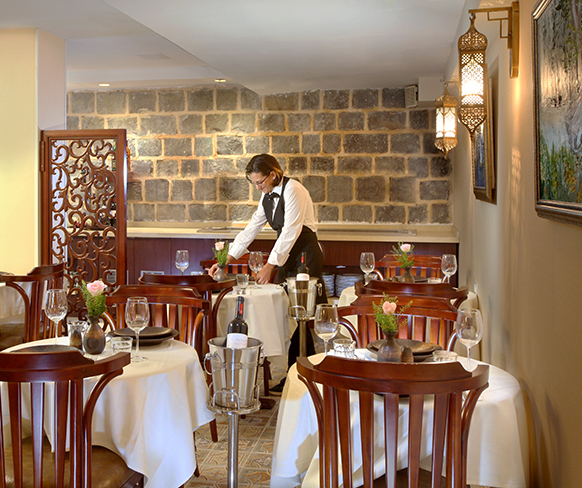 The Victoria restaurant located within the Hotel Europa offers unforgettable culinary experiences on a daily basis, crafted by Chef Uri Arnon (Arnolds). The Chef's unique personal story is a tale of East and West and is interwoven with the Hotel's historical story. Uri was born to an Iraqi mother from distinguished rabbinical family, and a converted Swiss father who was the son of a distinguished priest. 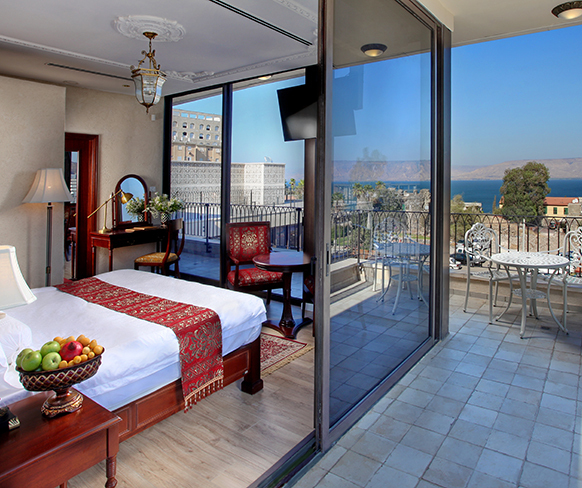 The boutique Villa Europa hotel in Tiberias is primely located in close proximity to the town's pedestrian mall with street stalls. Guests can enjoy the variety of restaurants found on the banks of the Sea of Galilee, water sports and many other entertainment options. 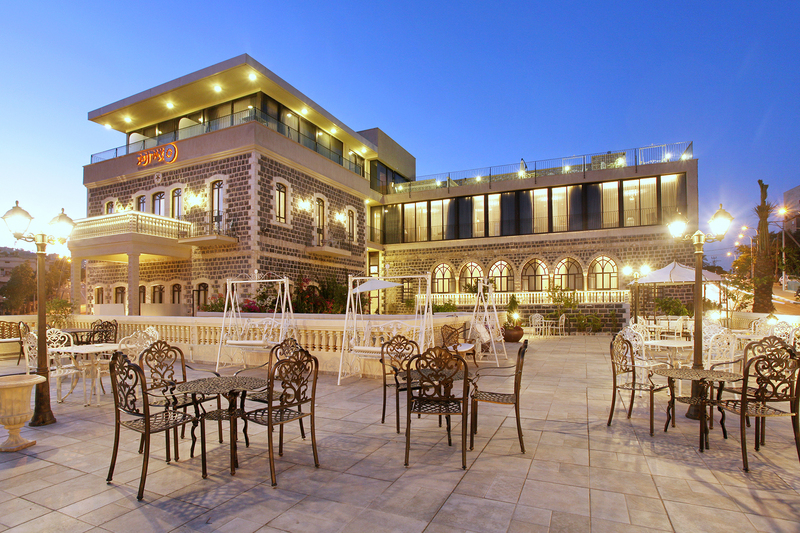 Tiberias is undoubtedly a fun choice for a vacation in the north of the country. 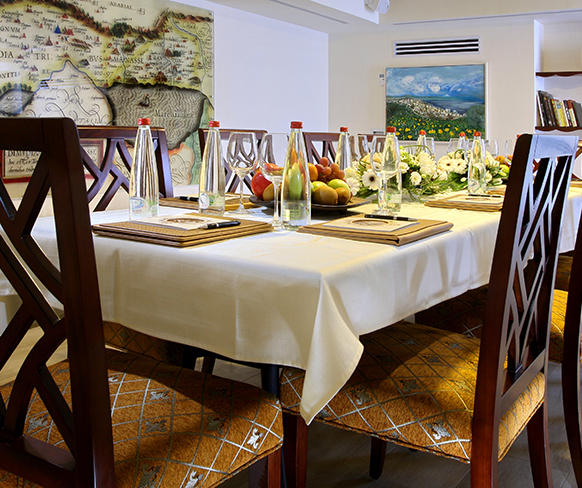 Hotel Europa 1917 offers 2 banquet \ conference halls and meeting rooms suitable for holding private functions, seminars, conferences, 9:14 AMtraining courses, family events and private meals. Each hall is fully equipped with high standard technical equipment, to meet all requirements including sound and amplifying systems, barko projector, podium, wireless microphone, neck microphone, flip chart, wired internet, Wi-Fi & screen. Our large hall caters for 90 people theatre style and 70 people banquet style. Large hall size - 90 people theatre seating, and 70 people banquet seating.